Hello folks and welcome to my NHL Positional Breakdown for Fanduel! For those of you who are new to the DFS Army, new to NHL DFS, or just like to read different articles, my name is Matt Dell’Agnese and I’m an MLB and NHL coach and writer for the DFS Army. Hit me for a follow on twitter at mdellagnese14. 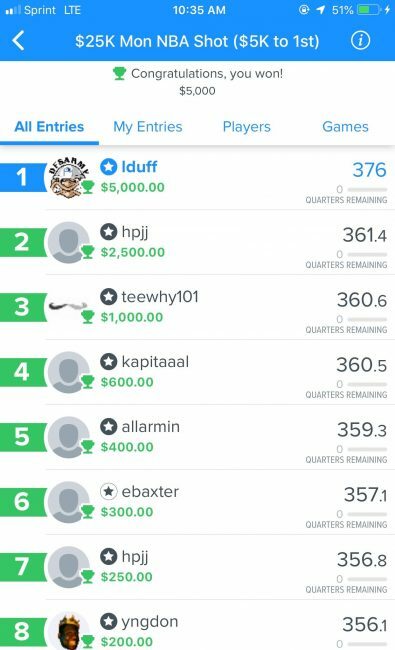 If you are a DFS Army VIP member you will know that I’m fairly active in our NHL rooms and around to help coach for the amazing sport of Hockey. I was brought to the DFS Army in January and I wrote Painting the Black for baseball, analyzing pitching picks for the slates. If you’ve played MLB, NHL is very similar. The sports are both volatile and players can put up a 0 or low score at any time. Don’t get discouraged if you get cold, just keep with your process and the players will come around. For cash games, you want to correlate players who skate on the same line or same Power play line, in GPPs stack up the full lines. Thankfully, Chop has asked me to help out with our NHL content articles! Check out Flynn’s article that describes how we start our process of creating lineups – Beginning NHL Strategy. Check out our new and improved VIP Research Station tutorial here. When you sign up to become a DFS Army Member, use code “MDELL” to get yourself 20% off your monthly subscription! I will be breaking down each position with the players who I like with my reasonings for liking them on the slate! I am a Fanduel player, so these articles will include Fanduel pricing and scoring references! Remember to always check for confirmation of goalies and lines! First, here are some of our recent big wins! Remember to sign up with code, MDELL to get 20% off! All Stats are over the Last 10 games unless noticed otherwise! The following article is the FREE version. Sign up for a VIP membership to get my VIP article! Use code “MDELL” to save 20% off your subscription! Carey Price (9k FD) (7.9k DK): The RS doesn’t seem to like Price much in this matchup and I will disagree a little. Price has been absolutely on fire for the Habs of late and their offense is great too. Over his last 10 starts, he is 5-3-2 with a .941 sv% (2nd on this slate), and a 1.80 GA (T1 on slate). Price is great at home and has been averaging 24.2 FD points and 6.1 DK points in his last 10 games. Andrei Vasilevskiy (9.3k FD) (8k DK): Normally I’m not too high on Vasil, but not tonight. He’s at home in a matchup against the Penguins who don’t have Malkin still. 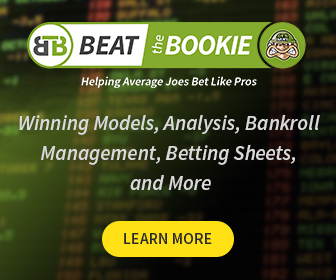 Our BTB model shows that Vasil should be a bigger favorite tonight and PIT has an ITT of 2.67 from our models. He’s got the best SV% and GA/G in his last 10 games on this slate tonight too. Marc-Andre Fleury (8.7k FD) (8.1k DK): Not sure what to do with MAF here tonight. I won’t be using him in cash games, but I think he can see solid GPP value. The Blue Jackets offense is very good, but they are also allowing a bunch of goals. When I look at the top line production over the last 10 games and see that CBJ 1/2 have allowed 14 goals in their last 10 games, makes me think MAF should get a win tonight. Connor McDavid (8.8k FD) (7.1k DK): LOVE McJesus tonight and he loves to play the Sharks. In 3 games this year against them, he has 3 goals and 3 assists! He’s heating up of late too and I love this game a ton. He has a very safe floor and an infinite ceiling. Steven Stamkos (8.2k FD) (7k DK): Tampa Bay has been playing very poorly lately, but this matchup is good for them. They are at home against Casey DeSmith and the Pens who are allowing 4 goals/game in their last 10 games. Stamkos has 37 shots in his last 10 games and I like him along with their top PP line tonight. Tomas Hertl (6.2k FD) (6.1k DK): Probably my favorite center tonight. I absolutely LOVE SJ2 and will try to stack them up in all formats. One of our highest value’s on this slate at the Center position too. 9 goals and 5 assists in his last 10 games to go along with 39 SOGBS and in his last 5 games he has 5 goals and 3 assists. Fire him up everywhere!!! Evgeny Kuznetsov (7.3k FD) (6k DK): Kuz has been picking up his game of late with 3 goals, 5 assists and 16 SOG in his last 5 games. This matchup against FLA is a good one too. Elias Pettersson (6.5k FD) (6.2k DK): I like Pettersson in tournaments only tonight. I think this game will be a quicker paced game and could fall right into the youngsters’ hands. Philip Danault (5.8k FD) (4.5k DK): I don’t want to feel like I’m chasing his last game, but MTL has been on fire and I’ll keep rolling them. He has 4 goals and 8 assists in his last 10 games. GPP only though as Andersen is an amazing goalie, but can struggle on the road. Leon Draisitl (7.6k FD) (6.8k DK): Draisitl is back on the top line with McDavid and he’s been on fire since. In his last 5 games alone he has 6 goals, 1 assist, and 19 shots. He’s been playing out of his mind lately. Evander Kane (7.4k FD) (6.2k DK): LOVE KANE! He’s my favorite winger on this slate and I’ll be pairing him with Hertl everywhere. The guy has 29 SOG in his last 5 games! He also loves to play EDM too, in 3 games this year he has 2 goals and 2 assists against them and 14 shots. His shots have also been up in his last few games too. Alex Ovechkin (8.7k FD) (7.3k DK): Washington is in a good spot here tonight against Luongo. Ove has been picking it up of late too with 27 SOGBS in his last 5 games and is averaging 28.8 FD points in his last 5 games, which is good for 1st on this slate in that time span. Nikita Kucherov (8.4k FD) (6.7k DK): Our highest projected Winger on the slate tonight and I like the spot here. The Lightning have been really bad lately, but this is a plus matchup for him. He can pop off and break any slate. Brock Boeser (6.8k FD) (5.9k DK): I like pairing Boeser with Pettersson in tournaments tonight. He’s been playing very good for the Canucks and they will be low owned in tournaments. He has 16 shots in his last 5 games to go along with 2 goals and 2 assists. GPP only though. T.J. Oshie (6.4k FD) (5.6k DK): If I can’t get up to Ove tonight, I’ll use his linemate Oshie. Oshie has been fairly consistent lately. His price is almost too high for me, but not quite. The upside in this matchup is amazing. Brent Burns (7.8k FD) (6.6k DK): My favorite D man tonight. Yes, he’s expensive, but he’s absolutely crushed EDM and has been on fire lately. He has 70 SOGBS in his last 10 games! Yes, you read that right, 70! He’s averaging 30.2 FD and 8.3 DK points in his last 5 games with 39 SOGBS. Love the upside for him tonight. John Carlson (6.5k FD) (6.1k DK): Love this spot for Carlson tonight. Florida has been playing better, but Luongo stinks and WSH should be able to score a few here tonight. He has 17 SOG in his last 5 games with 3 assists. Tonight, he has the change to up both those numbers and score a goal too. Shea Weber (5.5k FD) (5.6k DK): Weber is finally starting to hit his stride for the Habs. He has scored over 18 FD points in his last 3 games and had 6 SOG last game against WPG. The matchup with TOR isn’t the best, but as I mentioned before, Andersen can struggle on the road. Mark Giordano (6k FD) (6.2k DK): Gio is still playing very well for the Flames and I don’t think he’s going to slow down anytime soon. He has 42 SOGBS in his last 10 games to go along with 5 goals and 9 assists. He has 17 shots in his last 5 games too. Oscar Klefbom (3.8k FD) (5k DK): Basically a steal on FD and easily will allow you to get to Burns. I don’t think I would use him on DK tonight though with guys like Nurse, Yandle, and Petry in his price range. He’s back from injury and saw 20 min his first game back and 23 last game. He was playing well before he got hurt and should see another heavy workload tonight. Sign up for the DFS ARMY VIP membership to get the rest of my favorite plays at each position, along with my Favorite Stacks on the slate tonight!! !